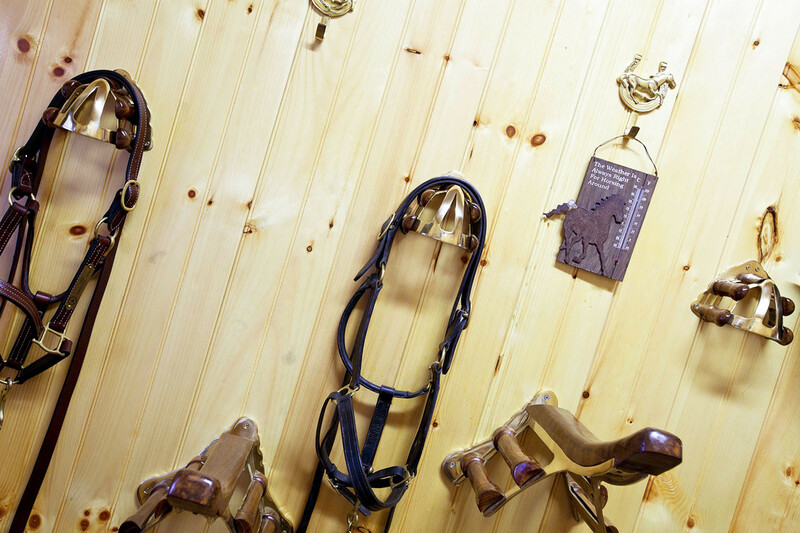 A tack room can be finished in many different ways, and because we custom build, we can design it right for your application. The tack room is typically framed with horizontal 2×4, and insulated with R19 fiberglass batts. The walls and ceiling are overlaid with vertical 1×8 T&G beaded boards. The windows and corners are trimmed with 1x pine boards. 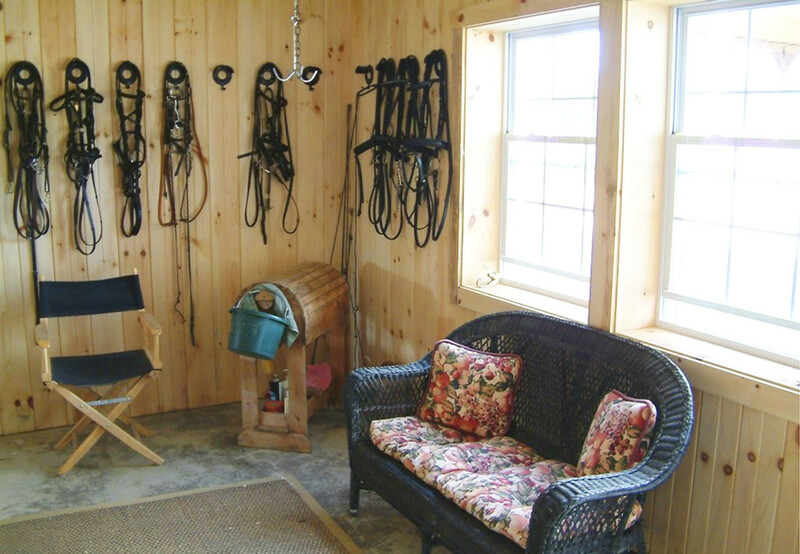 A fully finished Tack room makes hanging tack enjoyable, and is also a place to relax, and soak in the warmth of the beautiful environment.